Exciting consignments to Ohio Convention Sale! AOT MODESTY HOSS | SHE SELLS! Pine Tree Dairy is sending exciting consignments to the Ohio Holstein Convention Sale, March 8th. The consignments includes the dam to the #2 GTPI bull in the breed with an NAAB code, Pine-Tree Heroic GTPI+2999 NM$+1154 as well as an EARLY Marius daughter scoring +2858G +948NM$ going back to the tremendous transmitting line of OCD Supersire 9882! Below more information regarding the consignments. AOT MODESTY HOSS - Fresh Modesty daughter directly from Genomic Super Star Cookiecutter Ssire Has VG-88 DOM. Hoss is the dam to the #2 GTPI young sire with an NAAB code, Pine-Tree Heroic (s. Achiever) who scores GTPI+2999 NM$+1154! 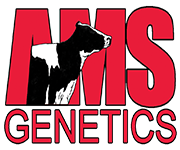 Don't miss this exciting opportunity to add an elite transmitter to your herd! CLICK HERE for a link to Hoss her profile. PINE-TREE 2287 DELT 6646 - Fresh with her 3rd calf this VG-86 +2655G Delta daughter sells! Backed by a pedigree with several bull mothers as well as a very exciting proof herself. Including negative stature, low calving ease and great health traits! PINE-TREE 7612 MARI 8174 - Early Marius heifer backed by one of the highest Fortune and Profit (Pine-Tree 7019 Prof 7019) daughters in the BREED! The next generation of bull mothers from the 9882 line! Don't miss this +2858G +948NM$ Marius daughter! PINE-TREE 7429 SKYW 8162 - Early GTPI+2806 +907NM$ Skywalker daughter from the #1 Hang-Time daughter in the breed Pine-Tree 6691 Hang 7429! 8162 has an exciting proof with +73 Protein, +4.0 DPR combined with 6.1% SCE with a very balance linear. PINE-TREE 7429 FRAZ 8132 - Also selling is the +2794G NM$+910 Frazzled sister to 8162. She also shows a tremendous linear combined with production, health traits including 2.67 SCS.